Located in the foothills along the Columbia River is the city of Camas. Camas is home to more than 20,000 residents and major employers Sharp Microelectronics, Linear Technology, and Underwriters Laboratories. With picturesque views of Mt. 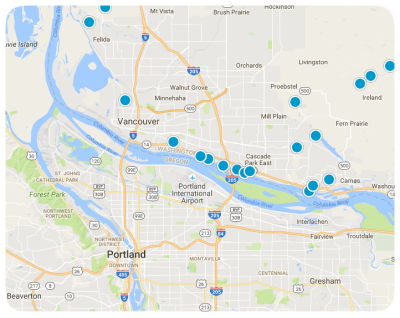 Hood and downtown Portland, Camas is a great place to live for a quiet mountain feel, but is close to all of the amenities of a big city. Downtown Camas features quaint shops and bed & Breakfasts, and hosts several special events throughout the year. 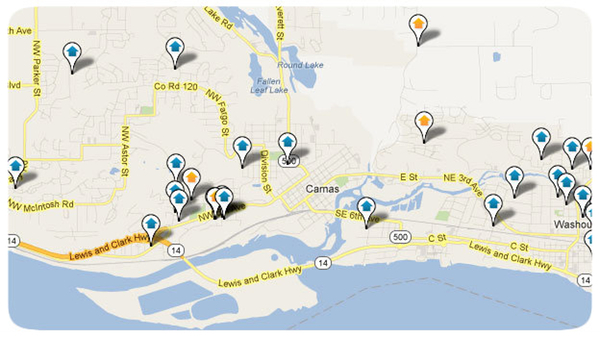 For the outdoor enthusiast, Camas is home to 18 parks, a skate park, and Washougal River Trail.